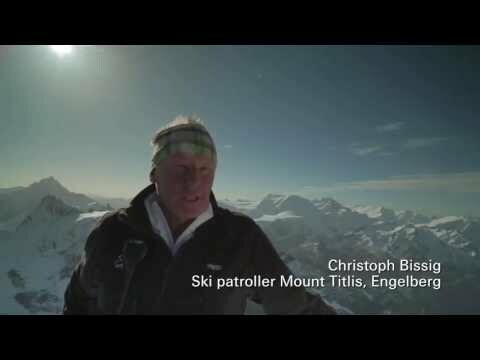 Christoph Bissig is a ski patroller on Mount Titlis, a glacier location in central Switzerland that sees skiing year round. When we hear and read about climate change we're always given the facts, the charts, the findings ... but it all becomes a lot more real when listening to Christoph who's been watching it happen every day for the past 23 years of his life. The glaciers on Mount Titlis are retreating fast - and as more and more rock is exposed every year - glaciers melt away ever faster. What I found very interesting was that Christoph sees a solution not in short term measures. Instead he takes a long term view and urges politicians to change the education system to make nature a central part of it. By teaching children about nature, about climate, they'll grow up to be the responsible and conscious adults able to come up with not just the solutions, but with the will to actually bring about lasting change. Tags: #Generations, #Open Minds video, #Video, #Glaciers, #Education.